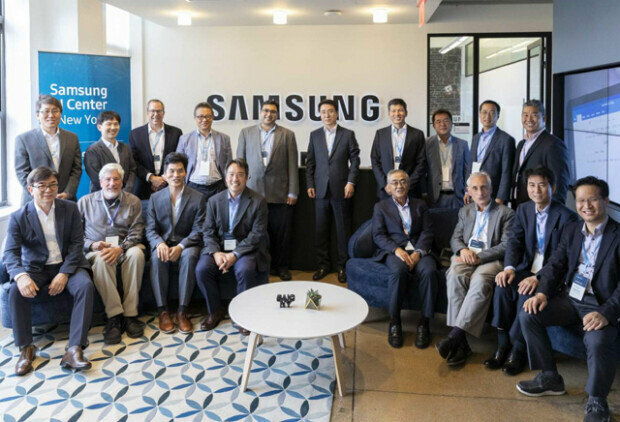 Samsung Electronics opens 6th global AI center in New York. September. 10, 2018 08:06. by Tae-Ho Hwang taeho@donga.com. Samsung Electronics said on Sunday it opened a global artificial intelligence research center in New York. It is the electronics giant’s sixth global AI research center after launching its first AI research center in Korea in November last year. The New York AI Center will focus on research related to robotics technology. The center will be headed by Daniel Lee, an authority in AI robotics recruited by the company in June this year. Sebastian Seung, a leading expert in brain neuroengineering who was hired at the time as well, will assume the post of chief research scientist and vice president to lead its advanced AI research. Earlier, after inaugurating the AI research headquarters in Korea, Samsung Electronics has opened global AI research centers in Silicon Valley in the United States, Cambridge in England, Toronto in Canada, and Moscow in Russia. The company plans to recruit about 1,000 specialists by 2020 to conduct advanced AI research at these global research centers.